Diamonds might be a girl’s best friend but for David Douglas Diamonds & Jewelry, barter provides a friendly business boost as well. The Barter Company has worked with DDD&J since the 1990s but the relationship really took off when the jewelry store lost its lease and they were forced to quickly find a new location. “Using the barter balance we had built up, DDD&J was able to trade for what we needed. From rugs and office furniture, to advertising and lighting, to glass for showcases, fixtures, signage, and phone systems — everything to get our business up and running. The transition would not have been as smooth without The Barter Company,” explained store manager Jen Foster. 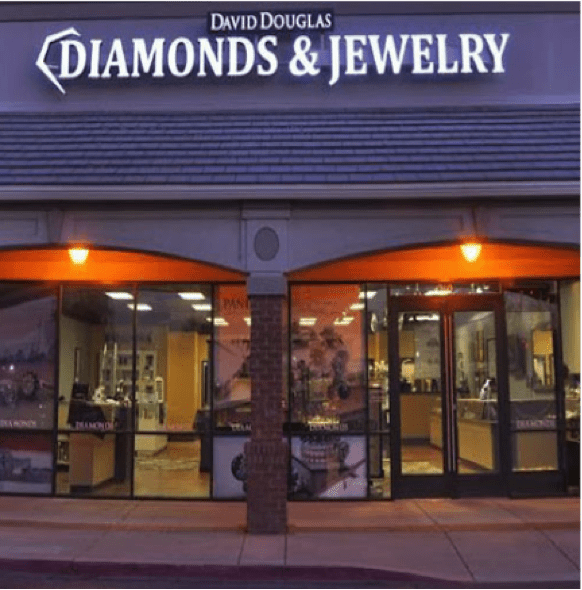 David Douglas Diamonds & Jewelry sells a wide selection of fine jewelry, including diamonds and gemstones, as well as sterling silver jewelry and watches. They also provide jewelry repairs, custom design and appraisals. Every month DDD&J uses its barter “dollars” to purchase advertising, pest control, lawn care, food, and travel. Approximately $35,000 is spent in barter annually. The jewelry store also gives their employees an annual “barter allowance” that they can use as they choose. “Common purchases include restaurant gift certificates, concert tickets, and travel. It’s a great employee incentive,” said Foster.